A beauty to behold, but was quickly relieved to the hands of the fast and decisive. 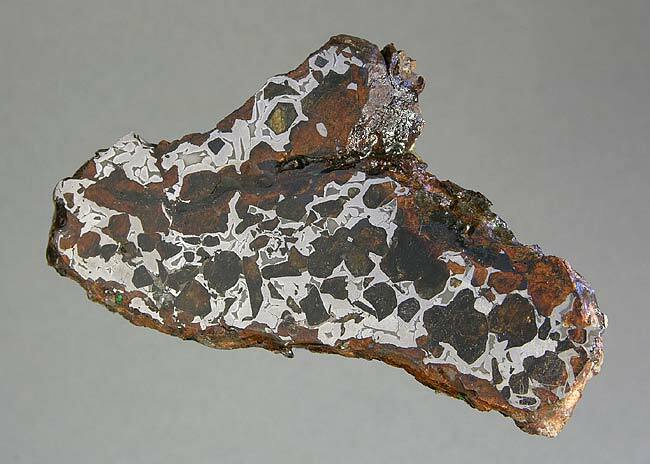 A thick slice of hefty proportions, you won't think your thin slice of pallasite shattering in the ground once you accidentally drop it. Widmanstatten pattern on both sides, this piece easily qualifies to be the centerpiece of the stony-irons. Purtroppo, I didn't find something similar on the net after I sold this. Source: Notkin, acquired 2006. A piece arrived so late that it shivers through my spine.